Submit a letter from the sponsoring organization in India on company letterhead addressed to the "Consulate of India" indicating the nature of the applicant’s business, probable duration of stay, state of validity, visa applied for (1 year or 5 Year), places and organizations to be visited as well as a guarantee to meet maintenance expenses. A scanned or faxed copy of the letter is acceptable. Submit a letter from the parent sponsoring organization in the United States on company letterhead indicating the nature of the applicants business, probable duration of stay, state the validity of the visa applied for (1 Year or 5 Year) places and organizations to be visited, and also a guarantee to make maintenance expenses. A copy of the inviting Indian company’s Certificate of Incorporation is required. 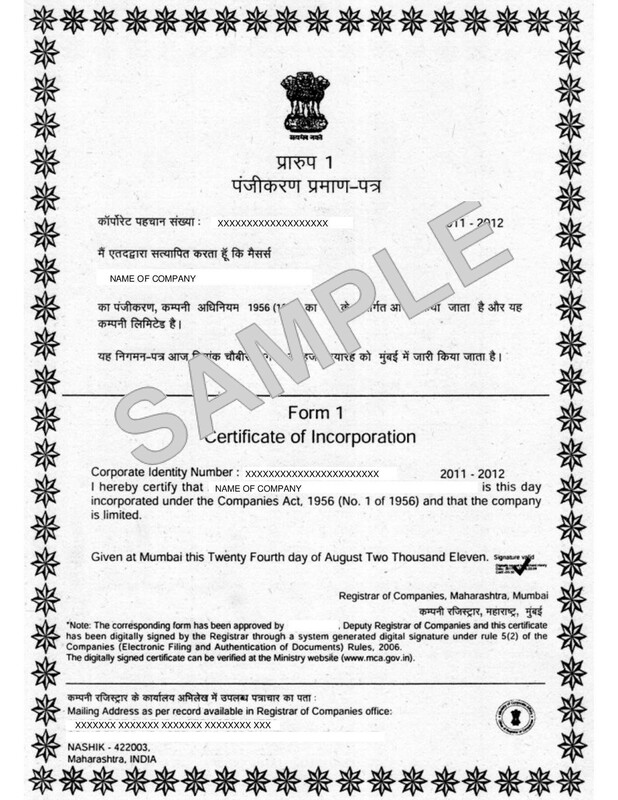 A sample Certificate of Incorporation may be viewed HERE.